Once again the online scams are targeting unsuspecting users and the largest group is seniors. Often times the scam artists will call saying they’re from Microsoft or some other legitimate company stating there are viruses on computer and they need access to your system to remove them. This is often done remotely and before the user knows it their computer is infected with Malware and viruses. 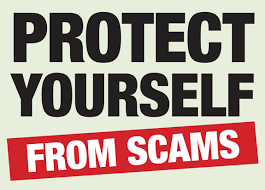 Then the scam artist will ask for your credit card information in order to pay for the removal of infections that they themselves have installed. It’s all an attempt to get one thing, your data. The best tip is just to say NO then next time they call and hang up. Also, beware of ransomware online. These often come in the form of pop-ups in your web browser stating your computer is infected and to call the number on your screen to begin the renewal process. This is also a scam as well and most of the time closing your browser will cause the message to disappear. If you suspect your computer is infected with a virus, malware or other malicious software one good practice is to call a local computer tech in your area to get help. There are also removal tools like Malwarebytes and other programs to help you get rid of Malware and ransomeware for free. If you need help solving your computer problems feel free to call Panther TEK at 480-980-8541. We’re always glad to be of service to our customers.